Change in natural and cultural aspects in Uttarakhand has been observed during the recent past. 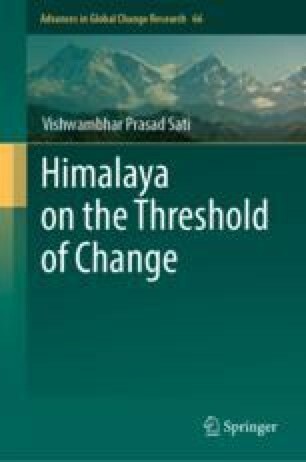 Landscape degradation, climate variability and change, warming of the river valleys and mid-altitudes, receding glacier, drying natural springs, change in distribution of floral species, increasing events of geo-hydrological disasters, change in culture and customs, population and social change, and migration and agrarian change are the major changes, which the Uttarakhand Himalaya is facing. In this chapter, drivers of change, resilience and adaptation are broadly elaborated.